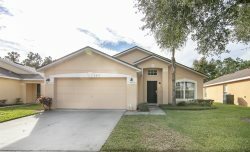 Florida Gold Vacation Townhome | Emerald Island Vacation Rental in Kissimmee, Florida. Emerald island Resort community private townhouse 3 Miles from Disney parks. Close to many restaurants and shopping options. Bring the family and enjoy all that the area has to offer while staying in this beautiful resort amenity laded community surrounded by nature.